DirectX 9 has gone gold now. Following this release ATi released a new DX9 compatible driver, plus some new demos and screensavers and updated version of the older ones. All available here. There's also a new Radeon SDK available. Guess this means I'll have a lot to do during the holidays. Today my 3D page has been visited for the 100,000th time. That's a double since August when I hit 50,000. I hope to see the main page reach 100,000 too soon, it's growing slightly faster, but I suppose many people have a bookmark pointing directly to the 3D page instead of the main page. Anyway, I want to thank everyone who have visited my site over the months and given me feedback and encouraged me to continue doing what I do. 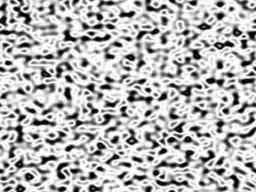 A demo doing Perlin noise in a fragment program has hit the face of earth. ... but quite large nonetheless. Antlers has taken my source from the Infinite terrain demo and changed it to use actual elevation data of Mars. It's quite cool and I recommend you to check it out. I have updated the Volumetric Fogging demo and replaced the Bass sound library I used before with my own little sound engine based on OpenAL and libvorbis. So now there should be sound in both Windows and Linux. The Linux implementation of OpenAL doesn't feel quite as solid as the Windows version though and I had some trouble getting my code that worked just fine in Windows to work in Linux too. There are a couple of differencies between the implementations (which AFAICS are undocumented), such as that the Windows version grabs the audio data I provide it with and puts it into its own buffer while the Linux version simply is continuously reading the pointer I passed it, which of course causes an immediate crash if I free my buffer. It can also crash under certain other circumstances I couldn't make any sense out of. Such as restarting a source that has stopped playing and at the same time be using a particle system , yeah, it doesn't make sense but that's how it is. I can either turn the particle system off and everything works fine, or I can just skip restarting the audio stream and it'll also work. Anyway, after having tried to figure this out for quite some time I gave up and concluded that the bug isn't mine but rather somewhere in the OpenAL implementation for Linux as everything works just fine in Windows. Hopefully this problem gets solved in future versions of OpenAL. Until then I opted for just letting the demo exit at the end of the loop instead of repeating in Linux, feels good enough for now. I have also updated the recent Shadows that rocks demo. It should now run both faster and get a little better precision. Another demo to bore you with. 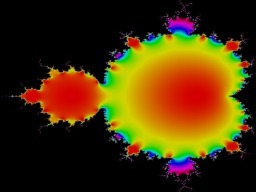 The mandelbrot demo is now both more colorful and more detailed with the same performance. Finally back to esprit.campus.luth.se after having been on humus2.campus.luth.se for a quite long while. It took time, but now it's back again in the server room of the local university computer association. It should stay there and stay on the esprit.campus.luth.se address permanently now.